Are you sure Dumbells 360 is closed down? 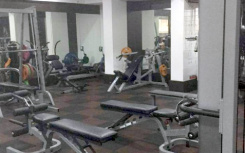 Dumbells 360 is listed in revaalo under Gyms from Bangalore. Reviews, Ratings, contact details, services: . To be frank it is one of the best Gyms in Sulatan palya. Spacious, trainers are good and they have good knowledge. over all true value for money. Good. staffs are also good and friendly. i would like to recommend.